Fèlix Vinyals was born in Barcelona in 1986; has a degree in Electronic Engineer from the Polytechnic University of Catalonia (UPC) a master in Biomedical Engineering from the University of Barcelona (UB) and teaches New Media Art. He is member of the Association of Visual Artists of Catalonia (AAVC) and the artist collective “OXYGEN” of the Kinetica Museum http://www.kinetica-museum.org (UK). He works in a branch of art in the New Media Art that he calls “Biotronic Art” resulting in interactive installations that blend the vital signs of the human body with electronics, which aims to explore the relationship between society, technology and the human body. He is the director of the postgraduate “Arduino: free ride to your technological creativity” from the Polytechnic University of Catalonia (UPC). 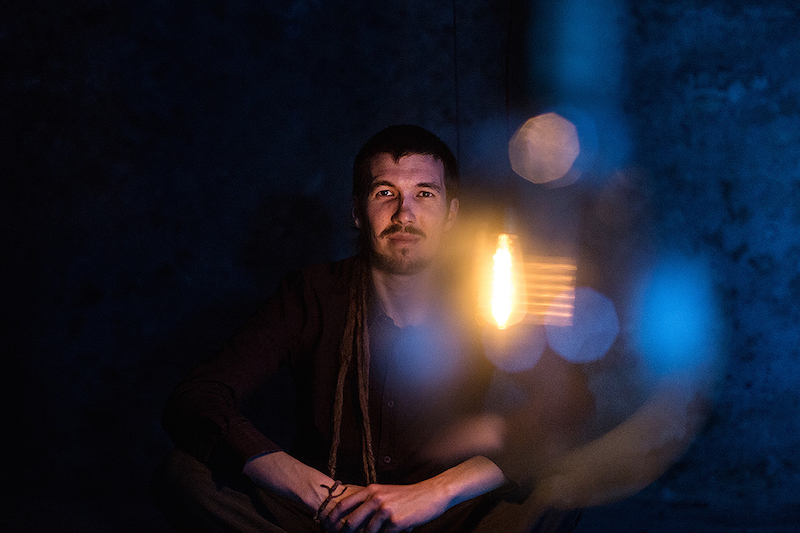 He gives seminars and workshops about digital art, interaction with the environment, Music Hacking and related topics in Barcelona, promptly at UK universities. He has exhibited his works in several festivals such as “Light Barcelona”, DrapArt at CCCB, “L’Estrany: unusual electronic music festival”; production and research center for the visual arts “Hangar.org” in Barcelona; the “Fields Art Festival” of Empordà; art show “StripArt” in Barcelona, ​​among others. His work has appeared in the media “Siglo XXI” of Radio3 (Spain) and has been a speaker at the “1st International Workshop on Brain-Computer Music Interfacing” at the University of Plymouth (UK), and “Transmission Symposium: Strategies Brainwave for the Arts in Interpretation” of Bournemouth University (UK). +Humans, CCCB, “Essència”, in collaboration with Col·lect, Barcelona, December 2015. Grlop d’Art 2015, Biannual Art Exhibition, Sant Pere de Riudebitlles, December 2015. DrapArt 2015, CCCB, Barcelona, December 2015. LLUÈRNIA Festival del Foc i de la Llum (Fire and Light Festival), Olot, Catalonia, November 2015. TNT Terrassa (Barcelona), Catalonia, October 2015. Fields Art Festival, Barcelona, Catalonia, August 2015. L’Estrany, festival de música insòlita i electrònica (Estrany, the unheard and electronic music festival), Banyoles, Catalonia, August 2015. Dorkbot at HANGAR.ORG, Barcelona, Catalonia, July 2015. StripArt, Barcelona, Catalonia, July 2015. Torval at the radio program “Siglo XXI” de Radio 3 (Spain), http://www.rtve.es/alacarta/audios/siglo-21/siglo-21-dbfc-05-06-16/3156236/, July 2015. 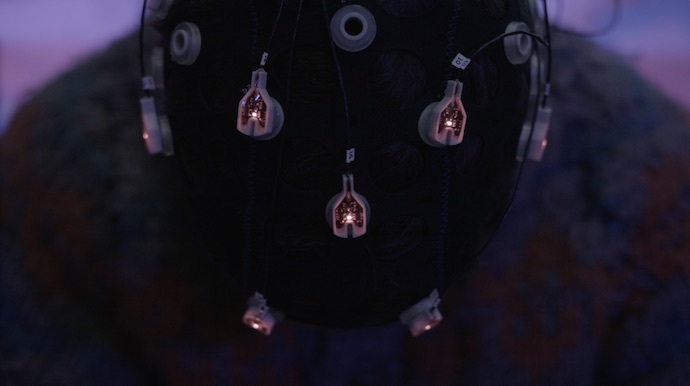 Atmel Blog: Biotronic art installation creates a unique musical experience based on thoughts and emotion, March 2015. Director and teacher of the postgraduate “Arduino: free ride to your technological creativity” from the Polytechnic University of Catalonia (UPC). Asociated teacher at ELISAVA Design and Engineering University, teacheing Computer Science and Processing. 1st International Workshop on Brain-Computer Music Interfacing, ICCMR, Plymouth University, UK, June 2015. The Maker Culture, Campus Universitari de la Mediterrània (Mediterranean University Campus), Vilanova i la Geltrú, Catalonia, May 2015. Transmission Symposium: Strategies for Brainwave Interpretation in the Arts, Bournemouth University, Executive Business Centre, UK, April 2015. Musical Hacking, Aula 141, Barcelona, January 2016. Arduino, Creativity and Technology. Campus Universitari de la Mediterrània (Mediterranean University Campus), Vilanova i la Geltrú, Catalonia, Frebruary 2016. Digital Art, Telenoika, Barcelona, Catalonia, October 2015. Initiation to Arduino, Campus Universitari de la Mediterrània (Mediterranean University Campus), Vilanova i la Geltrú, Catalonia, September 2015. Digital Art with Arduino, BaumannLAB, Terrassa, Catalonia, July 2015. First, the spectator becomes active. The Biotronic art breaks the relationship between artwork and PS (Passive Spectator) because the spectator to understand the work needs to skip his passive position of observer to become an active part of the artwork to complete it with himself, establishing with this another characteristic: the Biotronic Art is bidirectional. It has a real-time feedback of the biological entity that is connected with the artwork. The biological entity is usually a human and is the third and last singularity. Because all of this, the Biotronic Art is strongly related with the interaction environments and embodiments, installations and hybrid art.